Pattern recognition from multiple photos to create a point cloud of features. My aim here is to push photogammatry to do more than model an object or a facade of a building (that has been shown to accurately work), and use it as a tool for building set-extensions for vfx. The cost of LIDAR is out of the reach of most filmmakers, as is the cost of employing a modeler for a couple of weeks to build a scene using traditional manual photogammatry tools such as model builder. What i wanted to discover is how close to the camera i could get away with a photogammatry using projections in Nuke and if i could use matte painting projections, rather than textures as the as cheaper, easier to paint. There are several dozen applications out there that claim to do automatic pattern recognition with photogammatry. My first three tests (of the a london street, landscape and large room) failed due to me not taking the pictures correctly . After taking photographs correctly, I tested several online services to a couple of desktop applications (discussed later in part two). 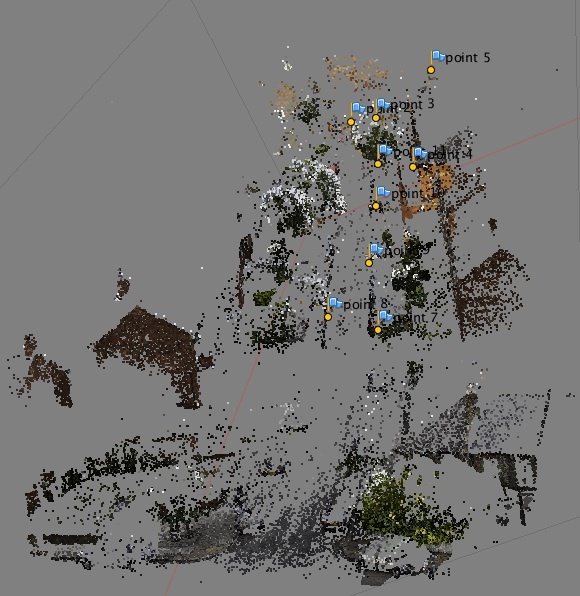 All the on-line services were great for modelling an object or a façade of a building, but something as complex as a street just produced a mess of a point cloud. 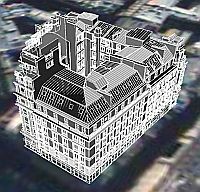 On the otherhand the desktop apps that allowed me to manual create matching marker sets between the photos generated good looking dense point clouds. These tools also allowed me to use several on-set measurements to correctly scale the model in their different axis. Importing this pointcloud to Nuke was ok – but far too dense to work with practically. If i was at this point handing this pointcloud off to a modeler or match-mover then my job would be done. But i wanted to see if i could automate generating textures and decimated models. This was great at low settings but when getting the software to produce fine detail my computer run out of ram (8gb is no way enough). Part two of this blog series will explore some of the applications out there, as well as how to take photographs for photogammatry correctly.